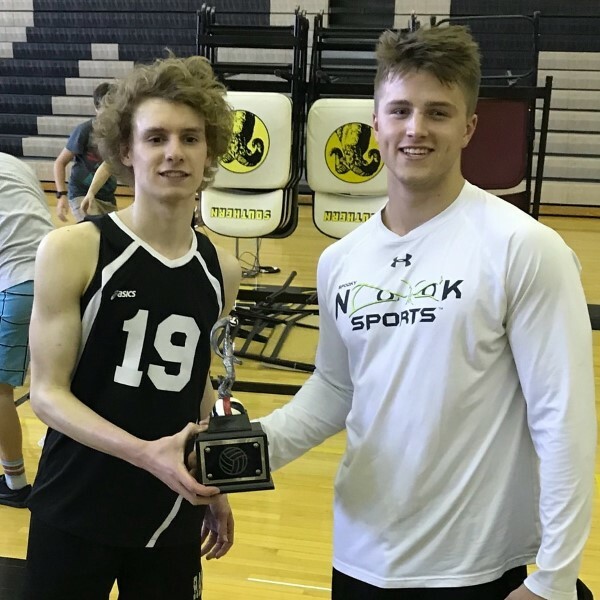 Congratulations Southern Boys Volleyball on winning the 2019 Hillsborough Raider Invitational on Saturday, April 6, 2019. 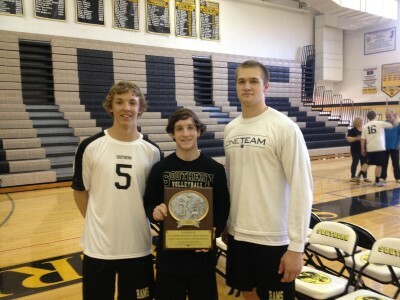 The Rams defeated Fair Lawn 25-23 in the finals. Southern is currently 7-0 on the year. #RamPride. 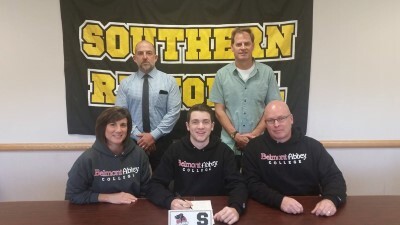 Congratulations Southern Regional Boys Volleyball player Matt Maxwell on his commitment to Belmont Abbey. 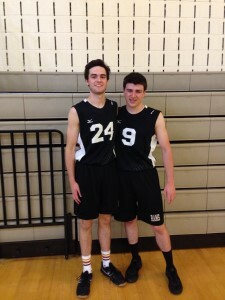 Congratulations Southern Regional Boys Volleyball Senior Players Matt Jones and Shane Bent on playing in the 2018 Shore Volleyball Coaches Association Senior All Star game at St. John Vianney High School on Sunday, June 10, 2018. Congratulations Southern Boys Volleyball on defeating Williamstown on Friday, June 1, 2018 by a score of 2-0. Congratulations Southern Boys Volleyball on defeating Jackson Memorial in the semis 2-0 & CBA in the finals 2-1 for the 2018 Shore Conference Tournament Championship. 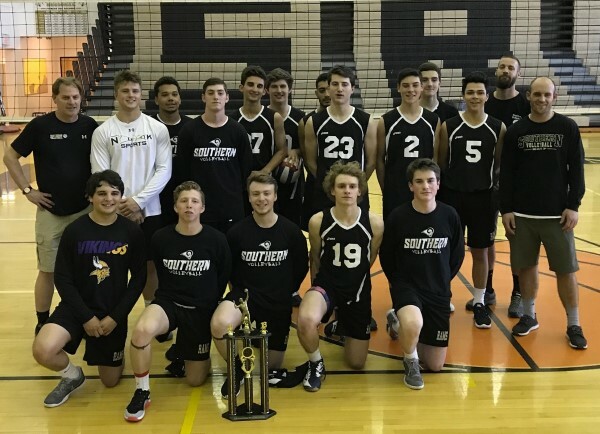 Congratulations Southern Regional Boys Volleyball on winning the 2018 Southern Invitational Tournament on Saturday, April 28th. 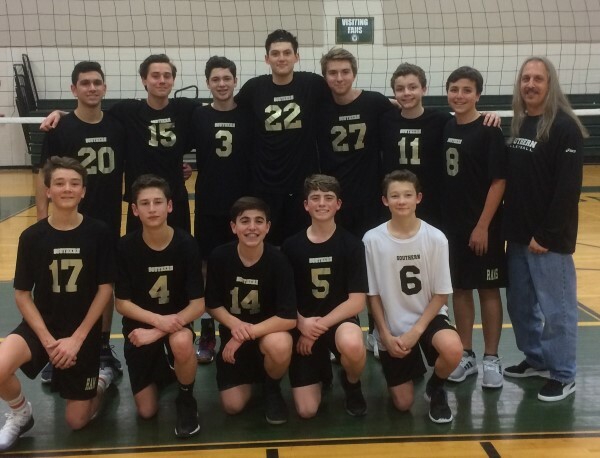 Congratulations Southern Regional Boys Volleyball Freshmen team on winning the St Joe Metuchen Tournament by defeating Eastern Regional 2-1, Saturday, April 21, 2018. Congratulations to junior, Matt Maxwell as he surpassed Rob Solorzano (Class of 2010 - 941) in career digs on the Southern Boy's Volleyball All-Time Career list! 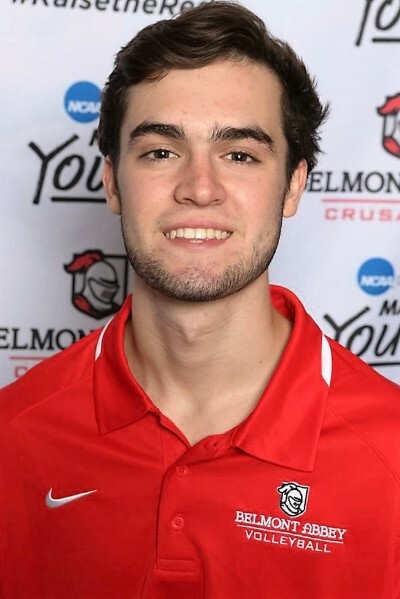 Congratulations Southern Regional Boys Volleyball Alum Liam Maxwell, (Belmont Abbey College Men's Volleyball player) on being named the Conference Carolina Volleyball Player of the Week for the week of February 5th thru the 11th - 2018. Good Luck the rest of the season. 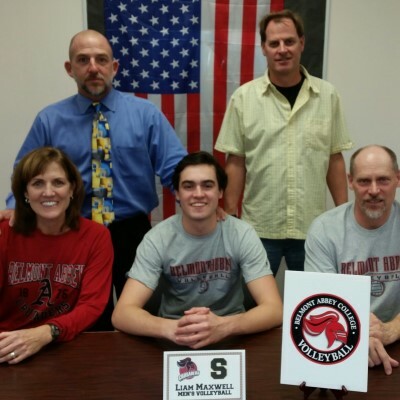 Congratulations Southern Boys Volleyball Alum Liam Maxwell (current Belmont Abbey player) who was named to 2018 Karch Kiraly "Watch List" by Off The Block, a volleyball website/twitter handel devoted to Mens DI-II College Volleyball. 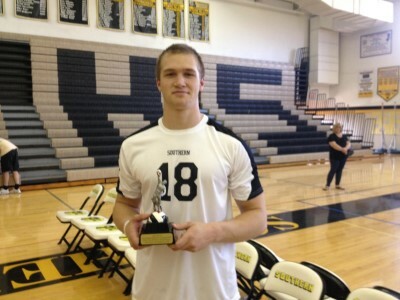 Congratulations Southern Regional Boys Volleyball Player Brennan Davis on being named the 2017 New Jersey State Boys Volleyball Player of the Year. 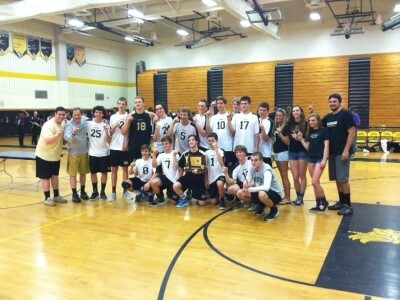 Congratulations Southern Boys Volleyball on winning the 2017 NJSIAA State Championship by defeating Fair Lawn 2-0 on Thursday, June 8th. Congratulations to the Southern Regional Boys Volleyball team on winning the 2017 Shore Conference Tournament on Friday, May 19th. Congratulations Southern Regional Boys Volleyball on defeating Barnegat 2-0 and winning the 2017 Shore Conference "A" South Championship on Thursday, May 11th. 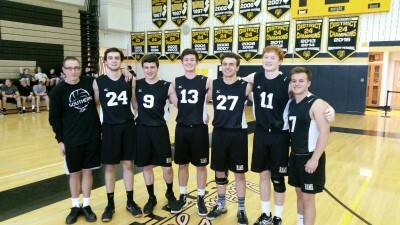 Congratulations to the Southern Regional Boys Volleyball Seniors on their Senior Day vs Barnegat. Congrats Southern Boys Volleyball on winning the 2017 Southern Invitational on Saturday, April 29th. 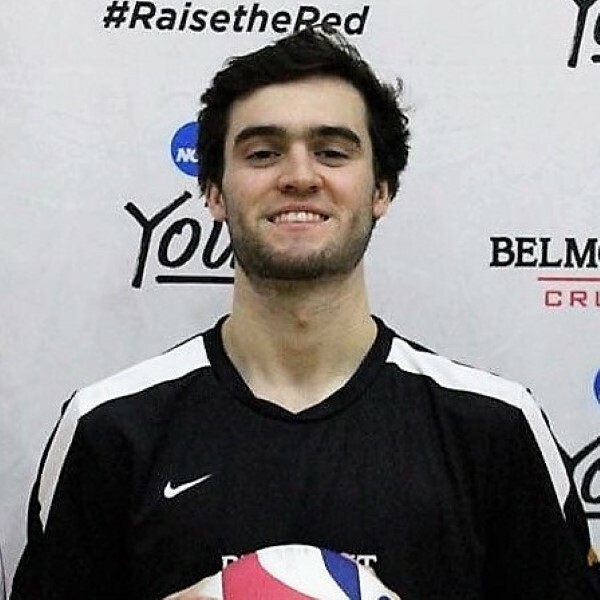 Off The Block: National Volleyball website and twitter ( @offtheblock11) Release- Liam Maxwell, Belmont Abbey (OH) "National Freshman of the Week" Honorable Mention for week ending February 6. 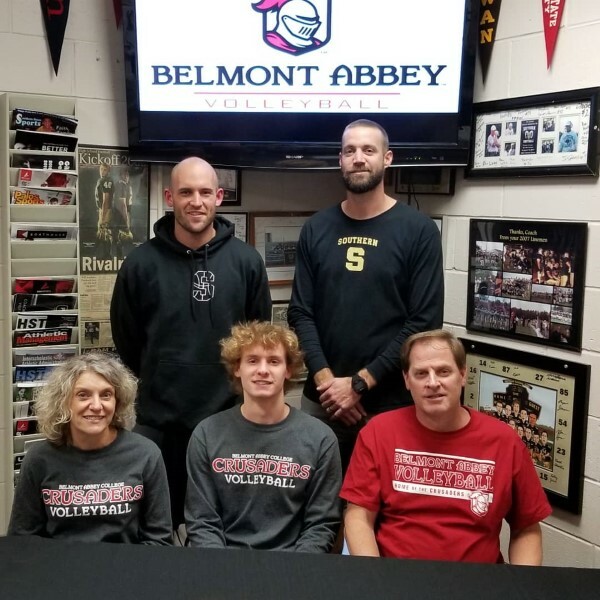 Congratulations Southern Regional Senior Boys Volleyball player Collin Lockwood on signing his National Letter of Intent to Belmont Abbey College in North Carolina. 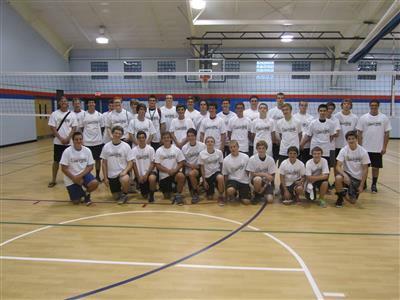 Thank you to all campers, players, alumni and coaches that made the 2016 Southern Boys Volleyball camp a huge success during the month of August at the Harvey Cedars Bible Conference on LBI. 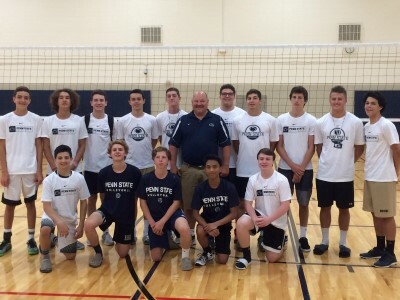 Southern Boys Volleyball was well represented at the recent Penn State University Summer Volleyball Camp. 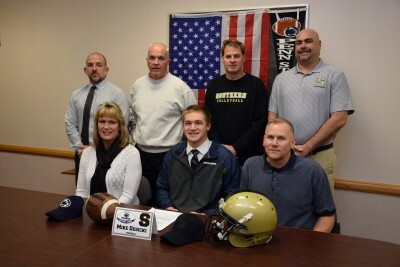 Players from Southern are pictures with Penn State Head Coach Mark Pavlik. 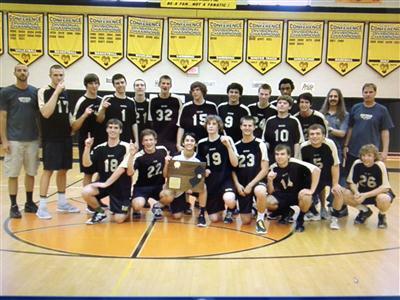 Congratulations to the Southern Rams Boys Volleyball team on winning the 2016 NJSIAA State Championship on Thursday, June 9th. 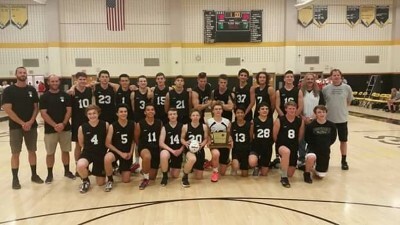 Congrats Southern Regional Boys Volleyball on winning the 2016 NJSIAA SJ Sectional Championship on Friday, June 3, 2016. 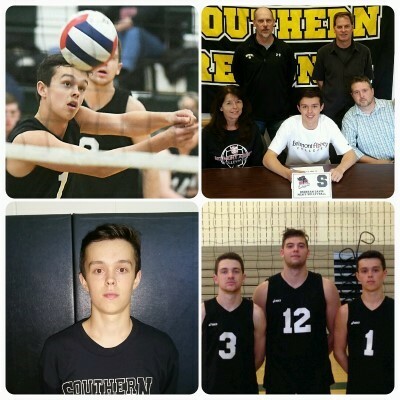 Congratulations Southern Regional Boys Volleyball player Brennan Davis on being honored before our 1st round NJSIAA game vs Camden Academy on Tuesday, May 24, 2016. 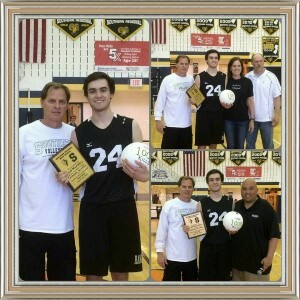 Brennan was honored for recording his 1000th career assist in the Rams game vs Bergen Catholic on Friday, May 20th. The Rams won the 1st round NJSIAA game 2-0 and will host Collingswood on Thursday, 5/26/16 at 5pm in the 2nd round. Before their Boys Volleyball match vs Willamstown on Thursday, May 19, 2016 Southern Regional honored their Senior players. 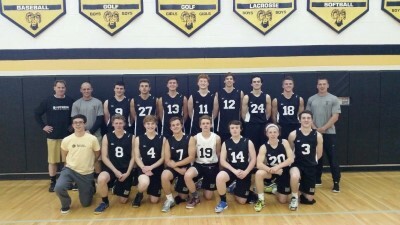 Congrats Southern Boys Volleyball team on defeating St. John Vianney in semifinals 2-0 & Wall Twp 2-0 in finals of the Shore Conference Tournament on Thursday, May 12, 2016 at Georgian Court University. 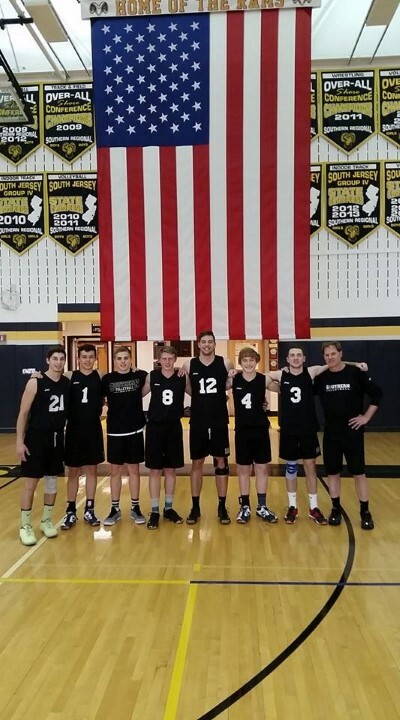 Congratulations to the Southern Regional Boys Volleyball team on defeating Toms River North 2-0 on Thursday, May 5, 2016 by scores of 25-20 & 25-10. Attached is the 2016 Shore Conference Tournament bracket for Boys Volleyball. The Rams received the #1 seed and will host the winner of Donovan Catholic/ Howell in the Quarterfinal round on Wednesday, May 11, 2016 in the 11/12 gymnasium. Time is a TBA. Please check athletic website for game time. Reminder the Semifinal and Final rounds of the SCT will be played at Georgian Court university on Thursday, May 12,2016 starting at 5pm. Good Luck Southern! 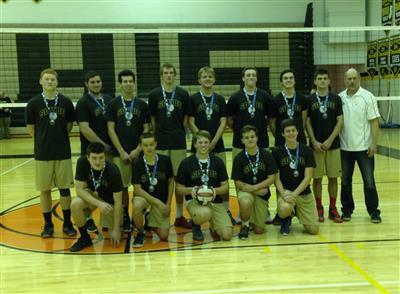 Congratulations Southern Boys Volleyball on winning the 2016 Southern Invitational on Saturday, April 30, 2016. Nice gesture by Southern Regional Boys Volleyball on honoring Senior Liam Maxwell in between matches with Toms River East on Tuesday, April 19, 2016. 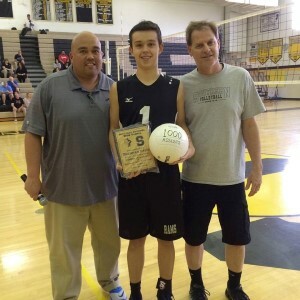 Congratulations Southern Boys Volleyball player Liam Maxwell on hitting his 1,000th career kill on Saturday, April 16, 2016 in a match vs Bayonne at East Brunswick High School. 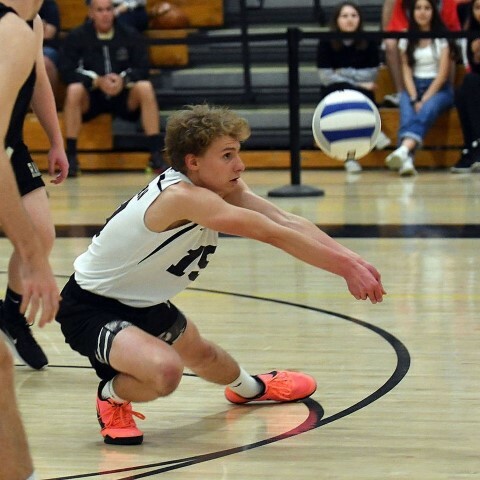 Congratulations to Southern Boys Volleyball senior player Liam Maxwell on being named to the American Volleyball Coaches Association (AVCA) 2016 High School All-American Watch List. 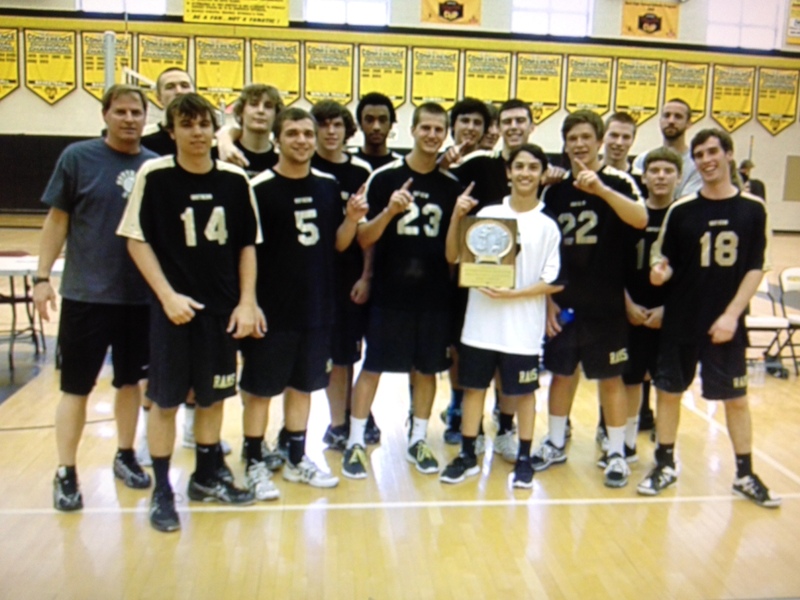 Congratulations Southern Regional Boys Volleyball on winning the 2016 Hillsborough Raider Invitational on Saturday, April 2, 2016. 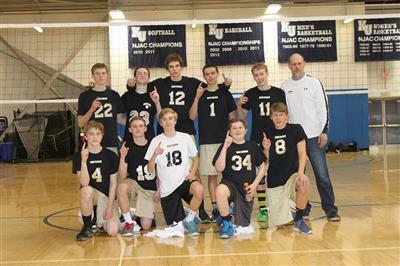 Congrats SOVBC 18s captured the Boys Fall Junior club "friendship" tournament on Sat November 21. The boys finished undefeated on the day (10-0) in the ten team event Took first place in Pool B with an 8-0 set record....then defeated South Jersey VBC 18 in semi-finals 25-21. The championship game was a victory over Princeton VBC 18s 25-18. 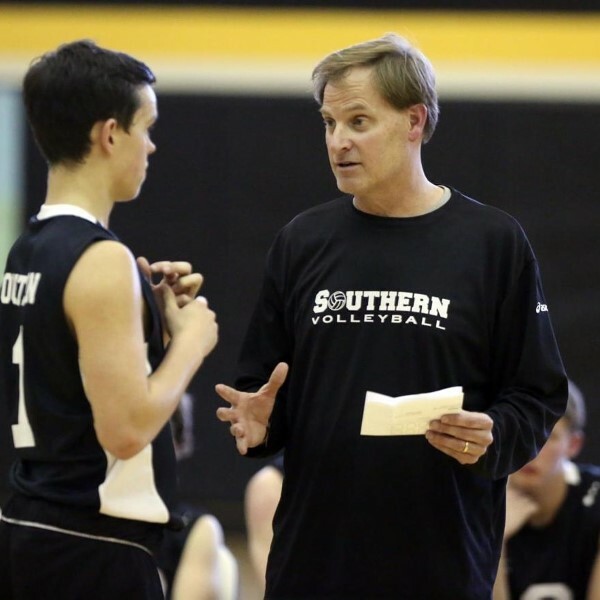 Thank you to all athletes, players and coaches on making the 2015 Southern Boys Volleyball camp a huge success. 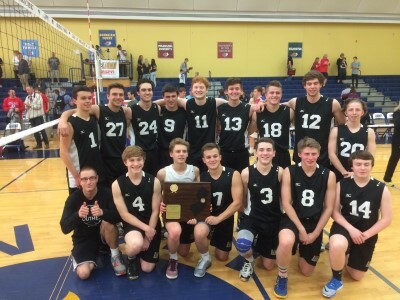 Congratulations to the Southern Regional Boys Volleyball team on defeating Harrison in the NJSIAA State Semifinal on Tuesday, June 2nd. Congrats to the Southern Regional Volleyball Team on winning the 2015 NJSIAA South Jersey Sectional Title. Special Congrats to the Senior Class who have won 4 consecutive SJ Titles. ‪#‎RamPride‬ ‪#‎Final4Bound‬ ; Tuesday, 6/2/15 at South Brunswick Vs. Harrison out of the North 2 Section. Go Rams! 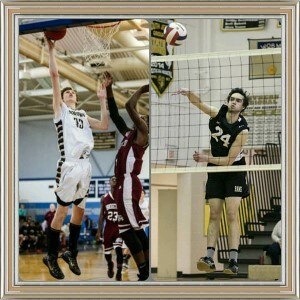 Southern Boys Volleyball team members Brennan Davis ( sophomore) and Liam Maxwell ( junior) have been selected to the 2015 USA Boys High Performance Continental Team Program (BYCT) for this summer. 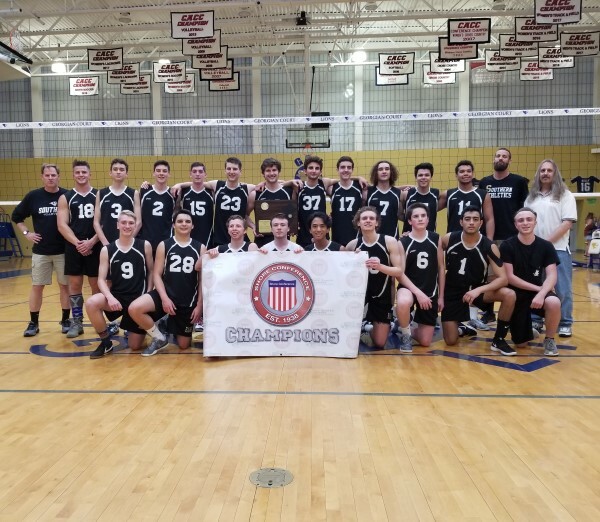 Both boys will attend 10 days of training and competition at the annual USA Volleyball High Performance Championships in Des Moines, IA from July 16 to July 26, 2015. The boys will train with age specific athletes for 5 days and then compete in an International Tournament. Good Luck and Congratulations! 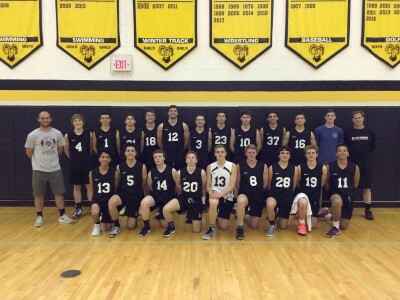 The Southern Regional Boys Volleyball team received the #1 seed in the 2015 NJSIAA South Jersey bracket Tournament. 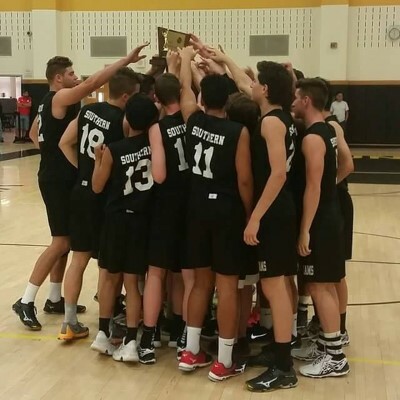 Congratulations to the Southern Regional Boys Volleyball team on defeating Lacey Twp on Wednesday, 5/13/15 by a score of 2-0. With the victory the Rams advance to the Shore Conference Tournament Final 4 at Georgian Court University on Friday, 5/15/15. 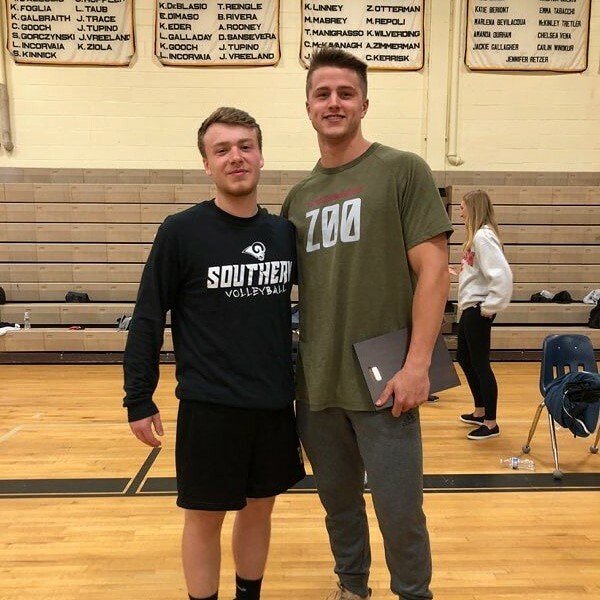 Southern Regional Boys’ Volleyball player Liam Maxwell recorded his 500th kill in the Rams victory over Barnegat (2-0) on Tuesday, April 21, 2015. Currently Liam leads the State of New Jersey in total kills. Congratulations and Good Luck the rest of the season. 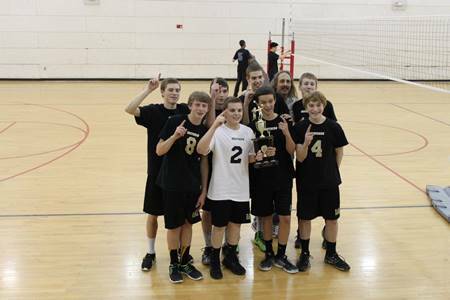 Congrats Southern Rams Volleyball Freshmen Team on winning the Bloomfield Invitational Tournament. Congrats Southern Volleyball on winning the 2015 Hillsborough Raider Invitational Tournament today. 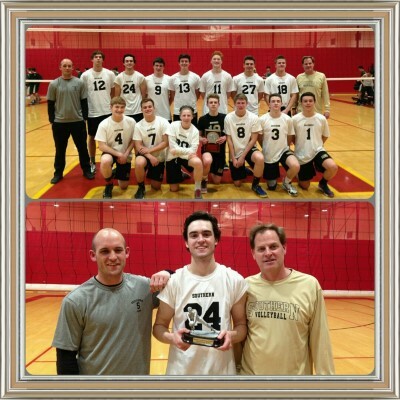 Congrats SOVBC 16U team took 1st place at Kean University "Winter Classic" on 2/22/15. 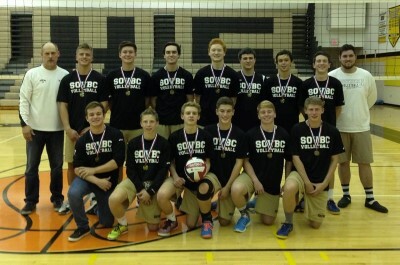 SOVBC defeated Old Bridge in championship match. 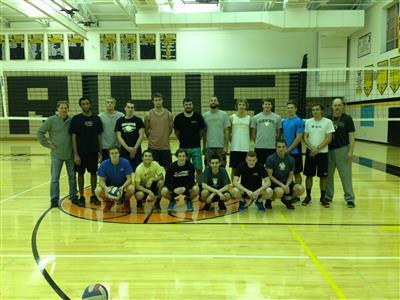 Thank you to all Southern Boys Volleyball Alumni that participated in the Annual Alumni Night on Tuesday, November 25, 2014. 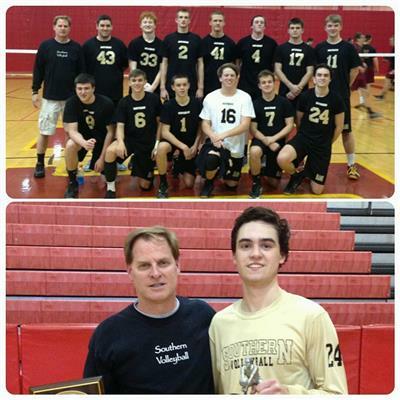 Congratulations to the SOVBC on winning their host Junior Club Volleyball 18U tournament on Saturday, November 22, 2014. The team went 8 & 2 in the tournament and defeated Fair Lawn VBC in the finals 25 to 16. The club team is coached by Mr. Charles Maxwell. 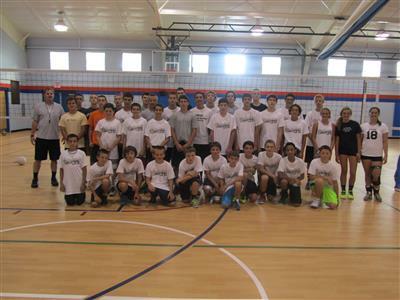 Thank you to all campers who made the Southern Boys Volleyball camp from August 11th to the 14th a huge success at the Harvey Cedars Bible Conference. 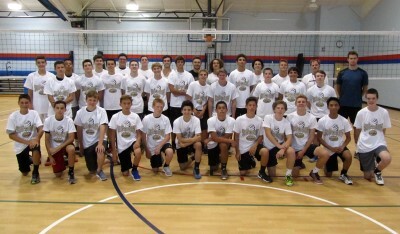 Thank you and Great Job to all athletes that participated in the 2014 Southern Boys Volleyball Camp. 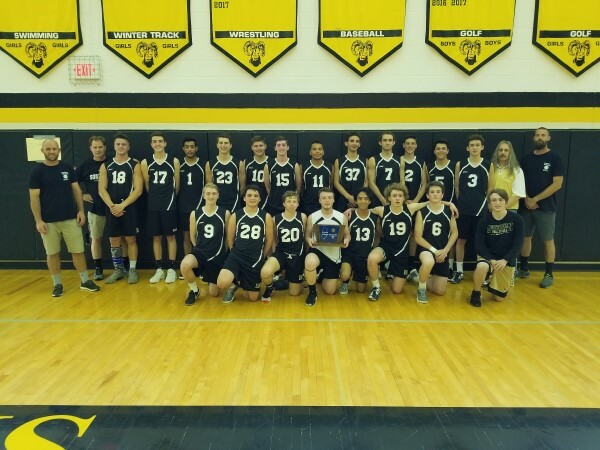 Congratulations to the Southern Regional Boy's Volleyball team on defeating St. Peter's Prep 2 to 1 (25-27, 25-14 & 25-17) in the NJSIAA State Tournament Final. Attached is the 2014 NJSIAA State Tournament Boys Volleyball Program. Southern will face St. Peter’s Prep in the final on Thursday, June 5th at 5pm, at South Brunswick High School. 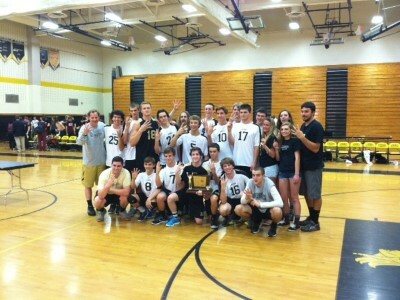 Congrats Southern Boys Volleyball on defeating Sterling 2 to 1 for the NJSIAA South Jersey Sectional Championship. The Rams advance to the "Final Four"of the tournament and play Bridgewater-Raritan, 5pm on Tuesday, 6/3/14 at South Brunswick High School in NJSIAA Semi-final. 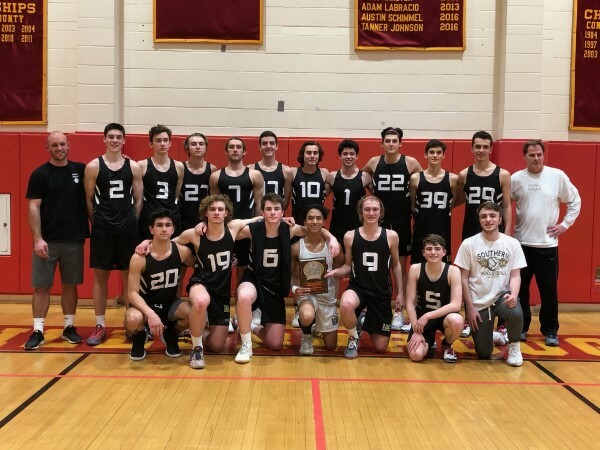 Congratulations to the Southern Regional Boys Volleyball Team on defeating CBA 2 to 0 on Friday, May 16th and winning the 2014 Shore Conference Tournament. 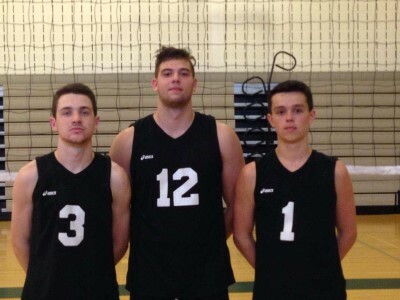 The Southern Regional Boys Volleyball team received the #1 seed in the upcoming 2014 Shore Conference Boys Volleyball Tournament. The Rams will host #8 seed Barnegat on Wednesday, May 14th in the quarterfinals at 4:30 pm in the 11/12 gymnasium. The Semifinals and Finals will take place on Friday, May 16th at Georgian Court University. Please come out and support the Rams. 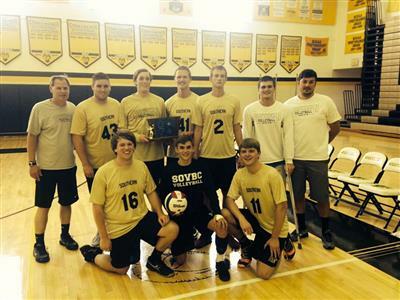 Congratulations to the Southern Regional Boys Volleyball team on winning the 14th Annual Southern Boys Volleyball Invitational today. 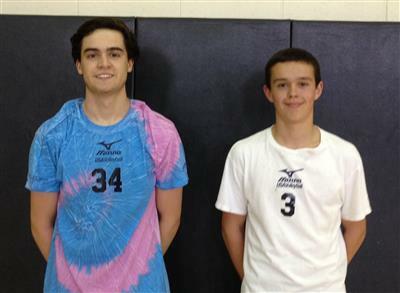 Congratulations to Southern Boys Volleyball on defeating Belleville (2 to 0) & Hillsborough (2 to 0) on Thursday, April 17, 2014 in a tri match. 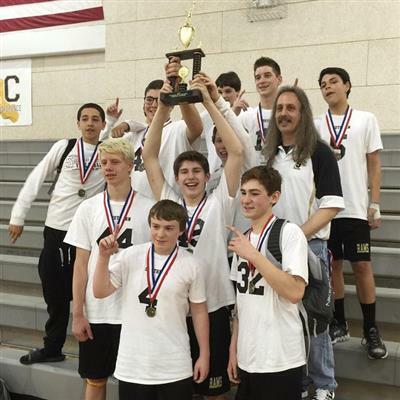 Congrats to the Southern Regional Freshmen Boys Volleyball team on winning the 2014 Bloomfield Tournament this past weekend.
. After the tournament's pool play, the Rams defeated CBA in the semifinals and Ridge in the final round. Congratulations to Coach Paul Lovas & the team. Great photo of the SRHS Boys Volleyball Alumni Night which took place on, Tuesday, November 26, 2013 in the 11/12 gymnasium. 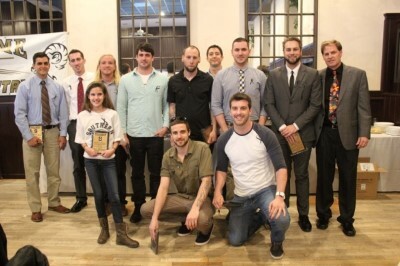 Teams from 2002 to 2013 were represented. Thank you! 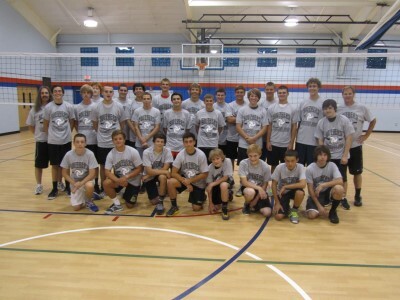 Thank you to all campers & coaches on making the 2013 Southern Boys Volleyball Camp at Harvey Cedars Bible Conference Gymnasium a huge success. Attached is information from Coach Eric Maxwell if you are interested in ordering a 2013 Southern Rams Volleyball State championship T-shirt. Please fill out order form ASAP if interested. Thank you! 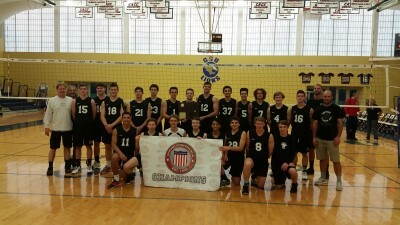 Congratulations to the Southern Regional Boys Volleyball team on defeating St. Joe Metuchen 2 to 0 and winning the 2013 NJSIAA Boys Volleyball State Championship. It is Southern's third state title in the last five years. Way to go Rams! 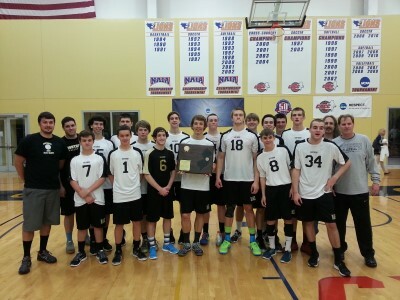 Congratulations to the Southern Regional Boys Volleyball team on defeating Fair Lawn in the 2013 NJSIAA State Semifinal Tournament match on Tuesday, June 4th by a score of 2 to 0. 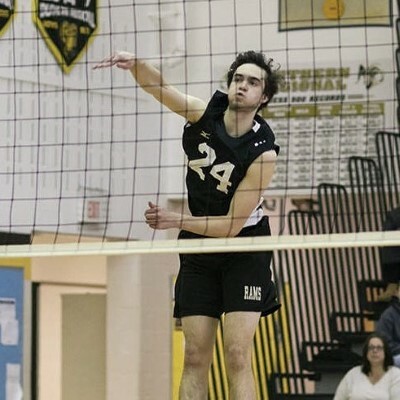 Admission prices for the NJSIAA Boys Volleyball State Semi finals and Finals, at South Brunswick High School are $4 for Adults & $2 for Students & Senior Citizens. 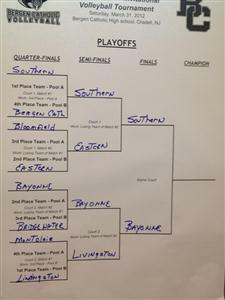 Southern will face Fair Lawn at 6:30 pm today, Tuesday, June 4th in the Semi finals. Good Luck Rams! 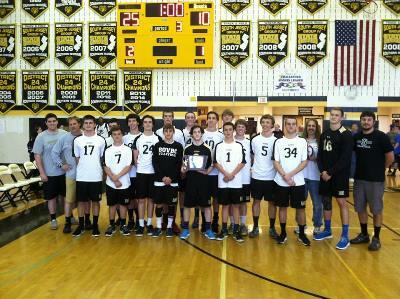 Congratulations to the Southern Boys Volleyball team on defeating Williamstown in the 2013 NJSIAA South Jersey Championship game. The Rams defeated the Braves 2 to 0 by a score of 25 to 11 in both games. This marks the Rams 4th South Jersey Title in a row. Southern advances to the NJSIAA State Semi Final vs. Fair Lawn (North 1 Sectional Champion) on Tuesday, June 4th at South Brunswick, HS at 6:30 pm. 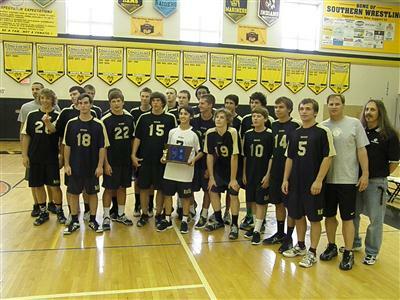 The Southern Regional Boys Volleyball team will face Williamstown in the 2013 NJSIAA South Jersey Final on Friday, May 31st. Game time is 5 pm in the 11/12 gym. Please come out and support the Rams! 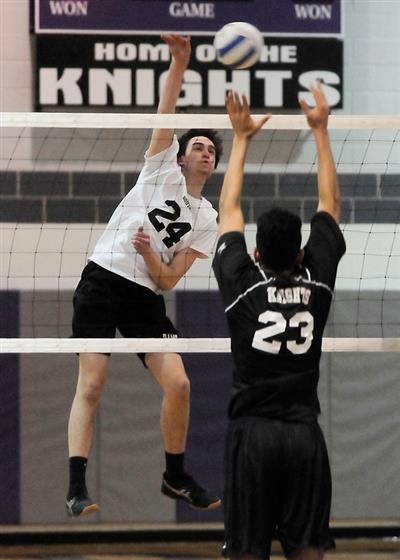 The Southern Regional Boys Volleyball team received the #1 seed in the upcoming NJSIAA South Jersey Tournament. 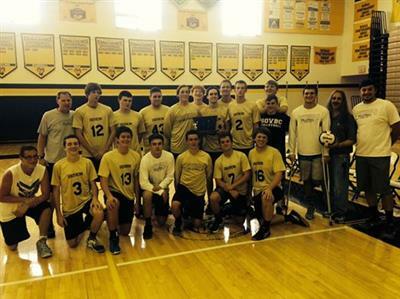 Congratulations to the Southern Regional High School Boys Volleyball team on winning the 2013 Shore Conference Boys Volleyball Tournament. The Rams defeated TR South in the Semi Finals 2 to 0. 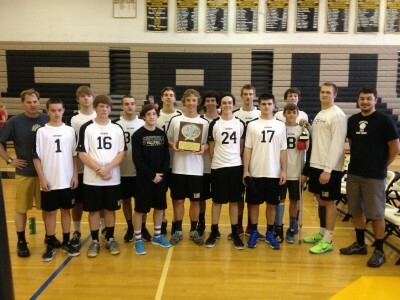 The Rams defeated CBA in the Finals 2 to 1 by scores of 20-25, 25-12 & 25-17. 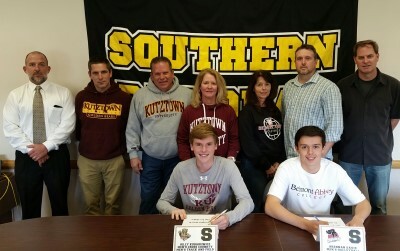 Good Luck Southern in the upcoming NJSIAA State Tournament. 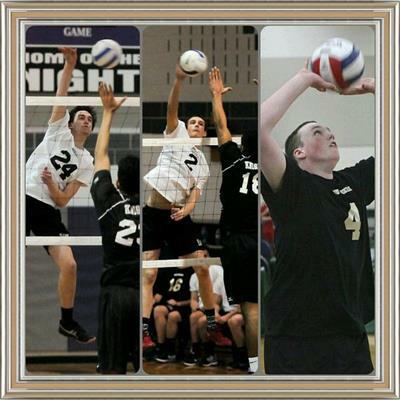 The Southern Boys Varsity Volleyball team received the #1 seed for the upcoming 2013 Shore Conference Boys Volleyball Tournament. 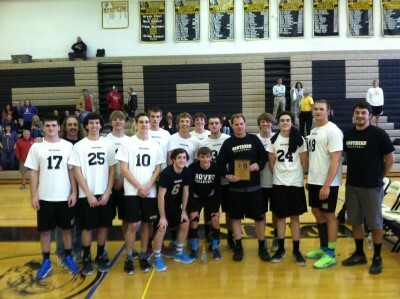 Congratulations to the SRHS Boys Volleyball team on winning the 2013 Shore Conference “A” South Championship. This marks the 11th year in a row the team has won the title. 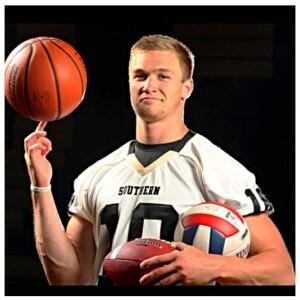 Congratulations to Southern Alum Robert Kraft (Class of 2009) on being named to the American Volleyball Coaches Association All American team at Nazareth College in Rochester, NY. 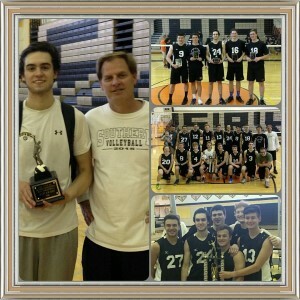 Congratulations SRHS Boys JV Volleyball team on winning the 2013 Boys JV Hillsborough Tournament on Saturday, April 20th. The Rams went 9 and 0 in tournament set play and defeated CBA 25 to 22 in the finals. The JV Boys Volleyball team is coached by Southern Regional Alum, Class of 2005, Mr. Ryan Fredrickson. 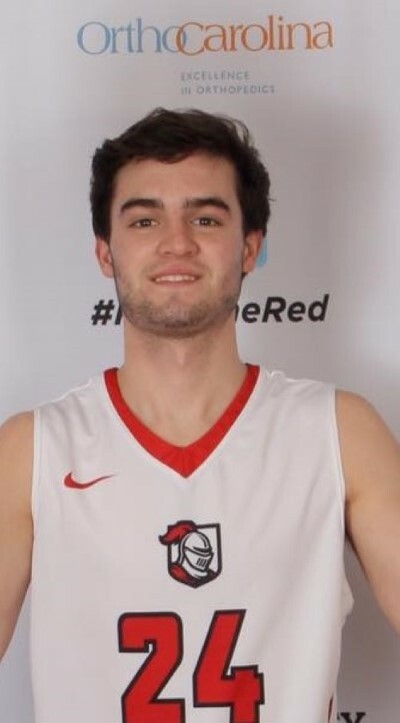 Congratulations to Senior Boys Volleyball player Brandon Lee on being named The Star Ledger, Athlete of the Week after being named the Raider Invitational Most Valuable Player in the Hillsborough Tournament. 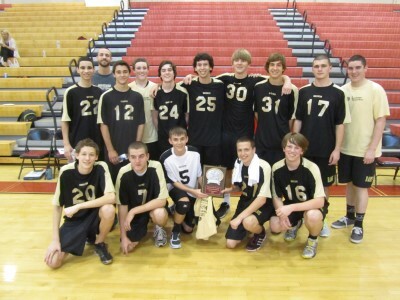 Congratulations to the Southern Regional High School Boys Volleyball team on winning the 2013 Hillsborough Boys Volleyball Tournament on Saturday, April 6, 2013. The Rams defeated East Brunswick in the Finals. 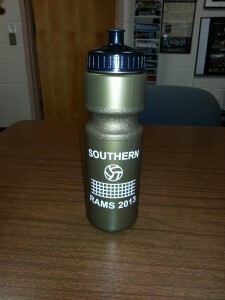 Please support the SRHS Boys Volleyball program buy purchasing a 2013 SRHS Volleyball waterbottle. Please see a coaching staff memeber or email Coach Maxwell emaxwell@srsd.net for details. Thank you! 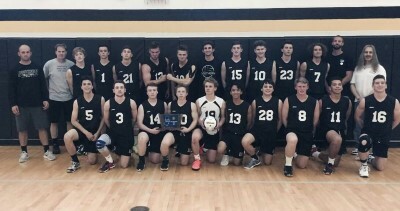 Congratulations to Southern Boys Volleyball on defeating Bayonne 2 to 0 in the NJSIAA State Semi-Final on Tuesday, June 5th by scores of 26 to 24 and 25 to 20. 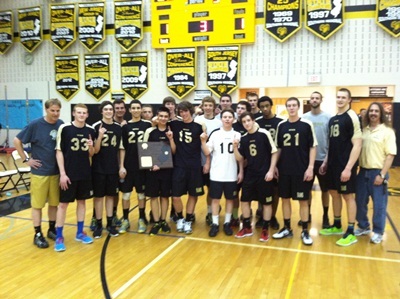 Congrats SRHS Boys Volleyball on defeating Eastern 2 to 0 and winning the NJSIAA South Jersey Sectional Championship. Southern advances to the NJSIAA State Semi-final vs. Bayonne at South Brunswick HS at 6:30 pm on Tuesday, June 5, 2012. 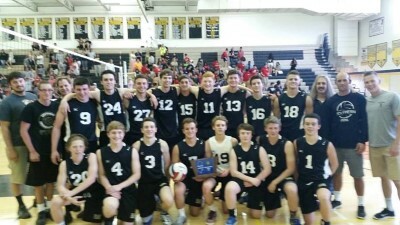 Southern Boys Volleyball (#1 seed) will host (#4 seed) Cherry Hill East on Wednesday, May 30, 2012 at 4:30 pm in the SRHS 11/12 gymnasium in the NJSIAA South Jersey Sectional Semi-Final. 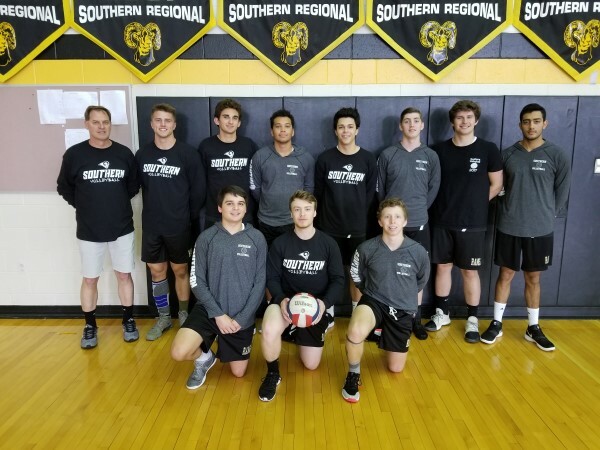 Southern Regional Boys Volleyball team received the #1 seed in the NJSIAA South Jersey bracket in this year's tournament. 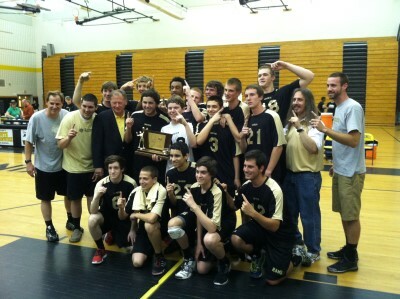 Congratulations to the Southern Regional Boys Volleyball Team on defeating CBA 2 to 0 in the finals and winning the 2012 Shore Conference Tournament. The tournament was held at Southern Regional High School on Friday, May 18, 2012. Attached is the 2012 Shore Conference Boys Volleyball Tournament bracket and tournament information. Please see attached article in the Press of Atlantic City regarding our Boys Volleyball Team. 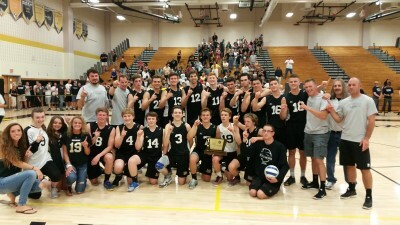 Congratulations to the SRHS Boys Volleyball Team on defeating TR North 2 to 0 on Tuesday, 5/1/12. With the win Southern has won the 2012 Shore Conference "A" South Championship. 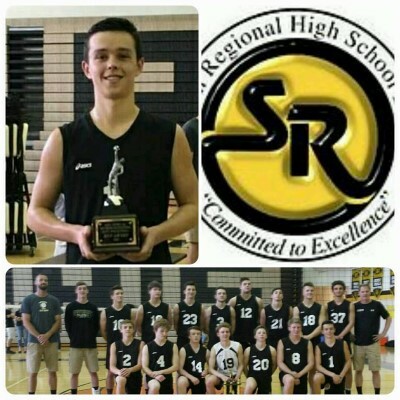 Congratulations to the SRHS Boys Volleyball team on winning the "12th Annual" Southern Regional Volleyball Invitational Tournament on Saturday, April 28th. Six schools participated in this year's tournament; TR North, Cherry Hill West, North Brunswick, Fair Lawn, Central & Southern. Southern won all five matches in pool play and won in tournament play by defeating Cherry Hill West in the semi-final 2 to 0 and Fair Lawn in the final 2 to 0. Junior Luke King from Southern Regional was named Tournament MVP. The Southern Regional High School Volleyball team is currently ranked 45th in the nation according to the ESPN “Fab 50” rankings. Attached is the “12th Annual” Southern Regional Boys Volleyball Invitational Tournament Information for Saturday, April 28, 2012 starting at 10 am in the 11/12 gymnasium. 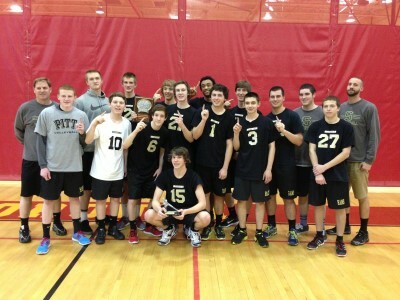 Congratulations SRHS Boys Volleyball team on winning the "Mustang Classic Invitational" at Marlboro High School on Saturday, April 14, 2012. 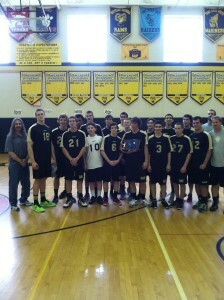 Congratulaions to the SRHS Boys Volleyball team on winning the 2012 Bergen Catholic Crusader Tournament Championship. The team made its 7th consecutive appearance in the state final. 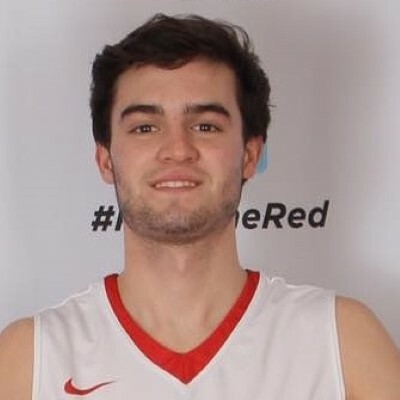 Junior Liam Maxwell has been named Shore Conference Player of the Year and first team All-state and first team All-South Jersey. Senior Jake Logue has been named First team All-State and First team All-South Jersey. Senior Mike Sprague has been named Third team All-State and First team All-South Jersey.